BSF recruitment 2017 notification has been released on official website www.bsf.nic.in for the recruitment of total 33 (thirty three) jobs out of which 02 (two) vacancies for Sub Inspector (Staff Nurse), 21 (twenty one) for Assistant Sub Inspector (Pharmacist Qualified) & 10 (ten) for Constable (Kahar) vacancies. Apply before 30 Days from the Date of Publication. Here on this page you will get the details like the Name of vacancies released by BSF with exact number of posts. 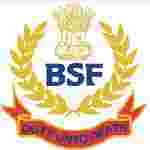 Some other criteria like Education details, application fee and way to apply application for BSF recruitment 2017. Educational Qualification: 10+2 or equivalent or Degree/Diploma in General Nursing Program for S.no-1. 10+2 or equivalent or Degree in Diploma in Pharmacy from any recognized Institution of the central or state government for S.no – 2. Pass in Matriculation or equivalent from a recognized Board for S.no – 3. Fee charges: Applicants who wanted to participate for BSF should pay the below charges through IPO/Bank Draft in favour of Concerned ADG/IG/DIG Commandant of respective Examination Centre, payable in respective branch. Interested and eligible aspirants should apply in prescribed application form along with self-attested copies of relevant documents, two self-attested photographs & two self-addressed envelope to the Concerned Headquarters on or before 30 days from the Date of Publication.